I was in quite a bit of pain and very nervous the day I entered Dr. Patel's office. From the start the staff in the front office was very helpful. Once in the room and meeting Dr. Patel and his assistant I began to relax as they did everything to make my visit as pleasant as possible. Their professionalism and caring ways were spot on! The procedure was pain free and my worries soon left me. I strongly recommend them for root canal procedures and can't thank them enough for helping me feel so much better. Just perfect from start to finish!! Today was my first visit at Excel Dental Specialities. I was very nervous since it was my first time getting a root canal done. But Dr Yoon made the entire procedure seem very pleasant and almost painless. The staff was also very professional, friendly and courteous! I normally don’t really give any reviews but I would definitely recommend this practice to anyone who is having root canal problems! My experience at Excel was pleasant and painless from the time I arrived until I left. People talk about how root canal procedures are agonizing and something to put off as long as possible. However, with Dr. Yoon I almost went to sleep while he was performing his magic. The people at Excel have found the secret to success: professional services and friendliness. No one likes to hear that they need a root canal from their dentist. I was referred to Doctor Tony and his staff and what a positive experience I had. From first arriving to the office, getting my procedure and the follow up call to see how I was doing today, everyone was professional and top notch. The treatment I received was excellent! Dr. Yoon and staff are THE BEST! Dr. Yoon has done 3 root canals for me, two of which were teeth that had crowns. All went very well, virtually pain free during and after. I would not consider going to any other doctor for root canals. Thank you Dr. Yoon! I would highly recommend Excel Dental Specialties! The front office staff is very welcoming. The dental assistants are friendly, professional and put your mind at ease. I was in terrible pain when I met with Dr. Patel and he was so sympathetic to my situation. He even suggested that they may be able to squeeze me in that afternoon. Sandy, the office scheduler, reiterated that and within an hour was calling me to come back in later that day for my root canal. Dr. Patel made the procedure almost pain free. He is so knowledgeable and skillful and the staff makes you feel so comfortable I almost feel asleep during the root canal! I will be telling friends and family to go to Excel Dental if they are ever in the same situation! Thank you! Dr Patel took care of me, pain free, stayed late and delivered. If I ever have to go through this again there is the man- grateful and lucky I found this guy. Root Canal be dammed! 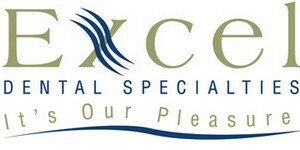 Excel Dental Specialties is so great! I was at my regular dentist and they realized I needed a root canal. They called Excel and they fit me in right away. I have major dental anxiety and they made me feel totally relaxed and calm. It was easy and painless from beginning to end. I loved the front office staff, dental assistant, Dentist and receptionist. They are great!!! Dr. Yoon and staff are amazing. This was my first root canal, and it was really no big deal- but that was due to the talent of Dr. Yoon, and the beside manner of everyone in the office. From the very beginning, Dr. Yoon's staff was amazing. They were kind, professional, knowledgeable, concerned, and understanding. Dr. Yoon took time to talk to me, make sure I understood the procedure and my options. The procedure was pain free, and afterwards I experienced only mild discomfort. The office is exceptionally clean, and has a vibe that says, "you are going to be fine, and the folks here are going to take care of you." This is hands-down one of the best medical/dental experiences I have ever had. Don't gamble with your health. Read reviews, and feel confident that Dr. Yoon and his staff will give you the very best treatment. I cannot say enough good things about Excel Dental Specialties. If you need a root canal, go to Dr. Yoon- you won't regret it. I called for an emergency root canal before my vacation and they were able to fit me in the same day. Everyone was very friendly, professional and organized. They explained the process and even gave me an estimate on the cost of the procedure before they started. Dr. Patel and Hilary were both super nice and I would not hesitate to recommend friends and family to the practice. Today was my first visit to Excel Dental Specialties. Now I usually don't write a positive review for an establishment that I haven't visited at least a few times, but I was literally BLOWN AWAY by the level of service and professionalism that I encountered. Firstly, their process is excellent. Before your first visit, they send you complete and simple instructions, and create an online account for you to log in to fill out your forms before hand. I know this is nothing new, but I stress the "simple" part here. Very clean process. I was dealing with some scheduling issues this morning and Melissa and Crystal went out of their way to accommodate me. They are just great. In fact, everyone I interacted with was absolutely wonderful to deal with. When I finally arrived at the office for the first time this morning (and this place is stunning btw, very well decorated and serene), I was welcomed as if I was the most important patient in the world. Dr. Yoon took his time explaining my options and answering all of my questions in detail. He has an easy manner that makes you feel right at home, and a very good sense of humor. I can't say that I'm looking forward to my Root Canal procedure, but I can say that I am totally confident that I am in the very best hands. There is no question that I will be recommending Dr. Yoon and his team to all of my family and friends here in Frederick, MD. Thanks guys! I have nothing but high accolades, for Dr. Yoon, and his staff. Starting from the first moment I called, telling them my issues, getting very prompt service, and an appointment ASAP. I was provided with great directions. When I arrived, I was met with smiles, and helped through the signing in process, mainly because I arrived with two teeth needing a root canal. Needless to say I was in some MAJOR PAIN. !!!! So last but not least, in more then a few visits, I was taken care of. They always accommodated me the best they could. Which I might add, I was always taken care of. The staff was always nice, always smiles, and kind words, and genuine concern. So I'd give then 10 stars if I could. So THANK YOU, to Dr. Yoon, and his wonderful staff. I had a great experience with this amazing crew! Thank you sooo much for the wonderful compassion they showed me during my procedure. Thank you to "quarters" as every one so affectionately refers to her as for making me feel comfortable. I was worried when I was told I needed a root canal. After my experience with Dr.Yoon, that worry has been taken away. I would recommend his office to anyone without hesitation. I thought I might need to spend extra for "laughing gas", but, it wasn't needed. The staff takes away any fears or anxiety. It's nice to know, that if another tooth needs a root canal, I'll make my appointment with Dr.Yoon. If his staff is reading this, I just want to say thank you. It's not too often that a dental practice hears those words! ok so i wasn't looking forward to having a root canal..let me just put that out there first. but i tell you, if you must, this is the place to be. OMG, the staff are the coolest, the office is chic...got that feng shui ambiance and dr. yoon rocks! trust, this is the place to get those dental nerves removed!!! I am happy to say that I love Dr. Murtaza and the whole staff here!! Everyone was very professional and friendly, even put my kind of music on in the room I was in. They couldn't have done anything more to make my root canal experience Pain Free. Thank you! Have a great summer!! Wonderful staff. Beautiful facility. Great doctor. Humor goes a long way with me and they have it in spades. This place is probably the best place to go to for any of you're dental needs ! Very professional and great at what they do ! The staff is very welcoming and make you feel so comfortable, you don't even know you're getting anything done ! Awesome job by excel dental. Very professional, courteous and they made a root canal a not so bad experience. Definitely recommend. Ok. Who likes to get a root canal? Not me. Not only is the staff extremely professional but made me feel at ease from the moment I arrived until I left. Dr. Tony is friendly, insightful, listens and an amazing medical professional. His dental assistant Courtney did an amazing job getting my X-Rays was caring and kept me informed of everything. No hidden or mystery with the charges they quickly gave me an estimated cost after my insurance estimated reimbursement. If you need a root canal, place them top on your list at 70 Thomas Johnson Drive in Frederick, MD. Was probably the best root canal anyone could have for having a root canal. Staff is great, Courtney is the best. Dr. Yoon is very good at what he does. No pain and gave me Pina Colada flavored topical numbing stuff before needles. I've only had bad experiences with root canals until I met Dr Yoon. I can now say I have had the most comfortable and pleasant root canal ever. He and his staff are AWESOME. I wish I would have met them YEARS ago! Highly recommend them. I had my appointment for my root canal and was in a lot of pain when I arrived, from the moment I entered the office, I was greeted with a very friendly receptionist and did not wait 2 minutes and was taken to my room that was very bright and cheery, the assistants were very pleasant and upbeat I got to choose my own music in my room, which was a nice touch. Dr Yoon explained everything in detail and was reassuring, and gave a needle I couldn't even feel. The whole Staff made sure you alright and well informed when you left. Both visits were the same . I would recommend this office very highly and would have no problem referring them to anyone who needs a root canal. I was completely happy with my services and the whole staff. Dr. Yoon is honest, gentle and simply the best. If you have to get a root canal - this is where you need to get done. His staff is awesome too. After having a complication with a root canal at my regular dentist, i was referred to Excel Dental to complete the procedure. I was pretty nervous of what to expect after a not so good experience already with this root canal. Dr. Yoon and his staff were wonderful! They did a great job of helping me feel as comfortable as possible. Dr. Yoon was very caring, very gentle and explained everything thoroughly. I would highly recommend this place!! For 9 days I suffered before seeing Dr.Yoon. Why did I have to get a root canal? Fear of the dentist... It had been 10 years since I sat in a dental chair. I'm telling you this because Dr Yoon is wonderful. I walked into his office in tears from pain and fear. I did get laughing gas and took an adivan beforehand. For me that was my only option. Dr Yoon and his entire staff were kind and gentle. After all that,ya know what, it wasn't bad. I'm going to force myself to go regular cleanings from now on. Thank you Dr. Yoon and staff. I hate dental work. Hate it. It makes me a nervous wreck. The office staff was so kind and reassuring! And Dr. Yoon was great! He took the time to look at the X-rays and explain my options. He was conservative about his recommendations, not offering services that weren't needed. I appreciate that he respected my time and my expenses. They took extra care to make sure I was completely numb and checked on how I was doing throughout the procedure. I have a lot of dental work - and been traumatized, but this was a great experience! This was so easy! Dr Yoon is the best denist I have dealt with! Simplistic and streamlined. A wonderful operation! I was really worried about having to have a root canal done. My main concern was the pain that I imagined I was going to experience afterwards. Well, let me just say, my fears were completely unfounded! After the procedure was finished I basically had no pain at all. Honest! The only area of soreness, which was very minor, was where the doctor gave me the shots to numb things. Least painful and excellent work. (I had about 5 root canals done in my life) I recommend him to everyone I know. He does need work on his jokes a bit but no one is perfect. His team makes up for that. Thank you. The exceptional care that I have received from the moment I entered Dr Yoons office has been second to none. I was referred to him after learning from my dentist that I had an abscesses tooth. The pain was unbearable and I was extremely concerned when I learned I'd have to be referred to another dentist . To my surprise Dr Yoon's staff offered to see me an hour later. This was a gift from heaven!!! My situation was complicated by the fact that I suffer from trigeminal neuralgia. Dr Yoon was able to get my pain under control before leaving his office. When the pain continued, not only did Dr Yoon respond to my after hours call within a few minutes, he also had Courtney follow up with getting a prescription called into a pharmacy which was opened 24 hours. Courtney was amazing, as was every member of Dr Yoon's staff !! To add to my testimony of the wonderful care I've been given, I must add that I received a follow-up call from Dr.Yoon on Sunday, to ensure my situation was improving. I can't thank Dr Yoon and his staff enough for their sincere concern, compassion and tremendous desire to provide the very best care possible. While sitting in the chair, looking up at the clear, blue sky, listening to the music of my choice, I almost forgot that I was having a root canal. But most important, providing me with the Advil, making me take them before I left the office, and stressing the aftercare if needed, really made me comfortable about the classy treatment of patients by Dr. Yoon and his cool staff. I can't believe I had a root canal today because the procedure was literally pain free and very very relaxing. How does he do that??? Dr. Yoon is clearly a knowledgeable expert in dentistry with much experience in treating patients. Special thanks to the entire team for making it a very stress free day for someone who can't tolerate any pain. Thank you so much!!! My husband has been to Dr. Yoon twice in the past year for a root canal. Not a situation you want going on in your mouth (it was very painful both times) but if you need specialty dental work, this practice is just so caring and pleasant. Great staff, they were able to see him short notice both times and resolve his issues. It is so refreshing to see a dental practice with such a caring attitude from the top down. I would recommend them highly and I bet you will have a positive experience as well. Thank you Dr. Yoon and staff for putting a smile back on my husband's face! I was extremely nervous about getting a root canal however Dr. Yoon and his staff did a wonderful job of explaining the procedure and calming my nerves during the procedure. From Dr. Yoon to the office staff - everyone is pleasant, professional and caring. From the minute you walk in the door the office excludes a calming effect. Getting a root canal is not fun but if you have to get one I highly recommend Excel Dental Specialties. So I had to get an unexpected root canal (never had one before), and I was very apprehensive to do so. I was sent here by my dentist with very high regards, and I have to say she was 100% on that recommendation. From the incredible staff, to how smoothly the procedure went, I could not have asked for a better place to do my root canal. The office itself is beautiful, too. They made sure I was comfortable during the entire procedure, and only needed to stop once for an extra shot (but that was when he got down to my actual root). It went by pretty quickly, and they even let me pick what pandora station I wanted to listen to. The lady who checks you out afterwards (I had Courtney) is awesome. She made sure I had everything I needed, and called the next day to see how I was feeling (even though it was a Saturday). I barely had any soreness in the gum area afterwards, and was even able to make my dad's Christmas concert that night. Keeping up on the advil like they said definitely made sure I had 0 pain. I HIGHLY recommend them!! This was the most kind & caring dental specialist I've ever been to. They play your favorite music while you are waiting and the hygienist was so sweet during the whole process. Dr. Yoon was very upfront with me about everything involved in my procedure, I didn't feel for a second that he was trying to "sell" my anything. It truly felt like he was thinking about what was best for me specifically. I would like to give a BIG shout out to Courtney and DR. Yoon. I am a problem child as in nothing I have done with my teeth goes as it is suppose to, and this was no different, had my root canal done and all was going pretty good the first couple of days and than boom I was in bad pain on a Saturday, now u know what the means who going to see you on a Saturday Called Courtney to tell her of my problems she jumped on it right away and had some meds called in for me.... hours later I was no better called again on a Saturday night mind you and again Courtney was right on it. I was seen at 10 o'clock at night by Dr. Yoon and treated with the utmost care and was relieved of my pain. Now this is what I call caring Thank u again and I will always recommend your office! These guys were great. I think my root canal was as painless as one can get. Dr. Yoon was attentive to my concerns with pain, and Crystal and the staff were all friendly. Thanks!! This was a concierge dental experience. There a lot of small things they do that make this different than any other dental appointment ever. Everybody smiled, made eye contact and was very pleasant. Offered me coffee and water as I waited in the waiting room. Also gave me a bottled water while waiting for the novocaine to take effect. The injection of novocaine was all but painless. Constantly asked if I was ok, did i need to swallow or need a squirt of water during the root canal. The actual root canal was as smooth as any doctor appointment I have ever been to. Rarely was there any talking between Dr Tony (I did not call him that while I was there, by the way) and Courtney. She knew exactly what he wanted during the entire procedure, so he never had to ask. Before They started the entire operation was explained to me. They use state of the art x-rays. They are digital... No waiting for them to develop. They pop right up on the monitor. I was given large safety/sun glasses to put on so there was no splashing in my eyes, or any danger if something got dropped. A very nice touch was that they offered me to choose my type of music from Pandora. I did not have to listen to dental office music while I was there!!! The entire procedure was done with Dr Tony looking through a scope that was 2 feet or so away from my mouth. (Not in any way obtrusive or too close) He was not all up in my face as he was working. It was nice to not have to stare at someone at point blank range for an hour or more. His position was actually above/behind the top of my head. I could not see him unless I tried. Of course my mouth was propped open and I had a rubber thingy (The technical Term) between my teeth to keep my mouth open. Not too far though. After most root canals my jaw has been left sore and stiff from having had to hold my mouth way too far open for comfort. It worked for both of us, since I was never asked to open wider during the entire time. There was minimal pain. My mouth takes alot to numb up and there was some minor discomfort afterwords from that... However far less than I expected. They were very concerned with my pain/comfort level throughout the entire visit. I was asked multiple times if i needed to have a rinse and the debris was sucked up to the point that it seemed like there was none. Another nice thing was that they did not carry on a conversation amongst themselves while working on me. I was the center of their attention. Finally, They explained all that was done, covered the post-op stuff and gave me a nice portfolio of my paperwork when I left. Also they followed up the following day to see how I was faring. I could go on, but suffice to say that it was more like being waited on during a root canal than a minor dental operation. Kudos To Them!!! While it is a bad day when one has to have a root canal, a trip to see Dr. Yoon and his staff make it almost enjoyable. The staff is friendly, professional and personable. Dr. Yoon is the same. There was NO pain involved, before, during or after. Come on now, they even give you your choice of coffees and choice of music. Parking is a breeze, atmosphere is great and overall, it is no more uncomfortable than getting a haircut. I do not relish ever having to have another, but if I do, I have no doubt I will be calling Excel. Trust me, I am an old man who was not bribed to give this review. Hell, I don't review anything, but this place so exceeded any expectations, I felt obligated. Dr. Yoon was amazing! He first evaluates to see what tooth needs to be worked on. He was very honest with me. Two teeth next to one another had been worked on so I was unsure which one needed work. One was a lot more sensitive than the other so Dr. Yoon explained how he wanted to be more conservative and do a root canal on the most sensitive one then see if that fixes all my problems. I'm glad he did so! A few weeks after my root canal and I am 100% better. I'm glad he was so honest and conservative. I would definitely go back there if I ever needed any further work and would recommend him to anyone else. I have two big fears in life....flying and the dentist. I recently had some extensive dental work done and ended up needing a root canal. I was a mess. Absolutely worried sick about the procedure. I stopped by Excel Dental Specialties after leaving my general dentist's office to check about an appointment. Chrystal was so kind and reassuring and even got me scheduled for the following day. Dr. Yoon and the entire office staff were excellent. The procedure was short and sweet and pain free. I still can't believe how easy it was. I highly recommend Dr. Yoon to anyone needing endodontic work. Thank you so much for the care, compassion and amazing treatment I was given from the first phone call to the checkout process. Dr.Yoon and his staff are second to none and got me in for an emergency root canal last minute and the end of the day. They stayed late and we're so sweet during the whole process. Very organized and smoothly run office. Dr Yoon called the next day to follow up, anyone looking for an endodontist this is the place to be! My first visit to Excel Dental Specialties. I would give them a 10 or more rating. The staff and Dr. Yoon were friendly and professional. Had a real bad toothache and they got me in that same day. Wonderful support team for Dr. Yoon!! The receptionist was cheerful and helpful!! Melissa made me a vanilla caramel coffee which relaxed me and said things to ease my anxiety!! Courtney rubbed my arm gently as the Dr gave me 3 numbing needles. She was constantly supportive throughout the whole process. Melissa gave me care instructions and said she would call me tomorrow which was very comforting. Courtney popped in to wish me a good recovery. Two angels...Both of them!! EXCEL Dental Specialties truly lived up to their name today - EXCELLENT! Not only did they schedule to see me today without a prior appointment, they were able to complete the first stage of a root canal. All the staff went above and beyond to be helpful, patient and kind. I have had a few root canals with different dentists and this was by far the quickest, least painful and most efficient surgeries. I will definitely be recommending this practice to friends, family and my dentist. Thank you for all your hard work and dedication to quickly relieving the pain I have been having for the past 4 days. Never had an issue with dental visits before, but this was my first root canal. The staff could not have been more professional and courteous - they were awesome! The procedure itself was almost totally painless. My procedure needed to be done urgently, and they worked me in within two days. If I need more work, I will definitely come back here. In addition, I will gladly recommend them to any of my friends and family! Great group! The professional care and kindness shown to me at Excel dental is by far the best I have ever experienced! Thank you so much ! Dr Yoon is a great thorough dentist that I found trustworthy and patient. I needed to get a procedure done recently and upon arriving for my appointment I was immediately relieved of stress since the staff were amazing. The receptionist Melissa is a gem as her customer service is top notch and made my check in and check out quite pleasurable. Dr Yoon answered all my questions and addressed my concerns prior to starting the work. If I ever need another procedure I will definitely go back to this practice even though it is quite a distance from house. It is definitely worth the drive. This was the best experience I have ever had with a root canal! Dr Yoon's office was able to squeeze me in for a same day appointment due to my childcare needs. The office staff was friendly and welcoming and the waiting room is so calming and serene. They have beverages available while you wait and are so kind and helpful. Once I was called back and it was determined that I needed a root canal, Dr Yoon asked if I wanted it done immediately. I was floored that that was even an option considering how difficult scheduling can be elsewhere. The procedure itself was about as pain free as possible! I was really nervous, but Dr Yoon and Melissa and Katlyn were amazing! Once I was finished, Courtney went over everything with me and made sure that I felt comfortable with the instructions that were given to me to take home. The amount of care and kindness I was shown today was incredible! I would definitely recommend Dr Yoon and his amazing staff to anyone! What an absolute breath of fresh air! My husband and I have had really rough experiences in the past.... needless to say, we were delighted to have such an awesome experience at EDS! Everyone was extremely professional, super friendly and couldn't do enough for us! The team at EDS took wonderful care of my husband with his root canal... he didn't feel a thing! I had no idea how positive of an experience I would have after receiving a referral from my dentist for a root canal evaluation. After all, getting a root canal was not on my Christmas wish list at all. From the moment I researched Dr. Yoon's practice online I was blown away by the atmosphere and comfort I felt just by browsing through their website. My experience in the practice mirrored the picture I had drawn in my head. All staff was very personable and related to me. Listening to my symptoms over the phone they scheduled a same day appointment so I wouldn't have to suffer any longer. While in the office, quality care and pain management were their top priorities, ensuring I'm comfortable. And even after the procedure was done they would call me to ensure I was doing well and healing as anticipated. I'm a fan of Dr. Yoon and while I hope to not need a root canal anytime time soon or ever again, I wouldn't hesitate and instantly go back to him. Great experience, one that puts the patient first! Thank you for everything. Dr. Yoon and his staff is top notch in every way. I never thought I would be writing about a dental experience until now. From the minute the phone is answered; to the time you are welcomed in the office; to the care you are provided with by the entire practice; and finally, to the follow up care, is perfection. They are professional, thorough, and caring. I have never seen an entire medical/dental practice do their part for the customer. They are an excellent team! These people are so nice and Dr. Yoon is so gentle. I have had 2 root canals and they have both went very well. Holy Cow! I've had other root canals before and never has it been a pleasant experience until now. The smiles, the office comforts, the canal itself. Perfectly pleasant from beginning to end. I will dread the words root canal less now that I've found Excel! First visit to Excel and very satisfied. Attentive and courteous staff. Dr Yoon was forthright in explaining my options and the associated costs with procedures. A very efficient operation with friendly and professional people. I have never had a root canal and have heard only bad things so was prepared for a not so pleasant experience. I have to say, what I received was quite the opposite. Dr. Yoon was very kind and explained everything to me. He was very patient with me as it often takes me quite sometime to get numb. I've had other dental work in the past but this was different. As for his tech Courtney, she was sitting there getting the instruments ready and every time he did an injection (he had to do a lot because we were having issues) she would stop what she was doing and just rub my arm. Compassion and bed side manner at its finest. I have nothing but good to say about the entire experience. Amazing place, amazing people. So helpful in my pain. Would recommend them to anyone needing specialty dental care. I visited Excel first to bring my husband to see Dr. Yoon. I was impressed with the staff and how they took care of him. He has had some negative experiences with dentists in the past. And he really liked how they put him at ease through the entire process.Then the very next day they for me in for an emergency. They were just terrific. There was no pain whatsoever. Very fortunate to have found such caring professionals. We will recommend them. Dr. Yoon and his staff are fantastic. They are all very friendly and make the experience very comfortable for their patients. I had a lot of anxiety when told that I had to get a root canal and they did a great job at making the experience very positive and painless. Just went for a consult..environment cordial and staff friendly. All questions answered and evey move explained..made my visit great for me being a scaredy cat when it comes to any dental procedure..would not hesitate to return if services are needed in the future. I've had 2 root canals performed here and both went perfectly. Dr. Yoon and staff truly cared about my health, safety and recovery. The waiting room and surgery room create a calm, relaxing atmosphere. The surgery itself is painless and quick. Pre-surgery and post operative treatment is thoroughly explained and next day followup is appreciated. Dr. Yoon and staff are exceptionally professional, knowledgeable, friendly and caring. No one wants to get surgery but if I ever need it again, I would go no place else but Dr. Yoon's office. He has my complete confidence. Thank you Dr. Yoon and staff. To best explain my experience, I have to go back in time for a bit. Before I deployed to Iraq in 2005 I was told that I needed all of mu wisdom teeth removed. The procedure went fine but it made me very uncomfortable about visiting the dentist ever again. Fast forward to 2017 and I begin to experience tooth pain. Long story short, I was told I needed a root canal. All of my old anxieties came back and stayed on my mind until the procedure day. When I got there, everything was explained to me in a manner that put my mind at ease. The staff were helpful and even let me pick the choice of music for the procedure. Dr. Yoon's calm demeanor and knowledge helped me understand what was about to happen. The only thing I felt at all was the novocaine being injected. After that it was just sit back and wait for the Root canal to be done. I honestly almost fell asleep. Next thing I know, I was done, paid, and out the door with plenty of follow up info and post operation care advice. Im glad to have had such a great group of people help me out. I'm very grateful that Dr. Yoon's staff was able to squeeze me in today and get my root canal taken care of before Thanksgiving! The staff and Dr. Yoon were all very professional, friendly and informative. I felt like I was in trusting hands and that I received top notch care! Thank you for making my root canal a positive experience. My first experience at Excel Dental Specialties was quite pleasant. I have only had one other root canal and that was back in the 1970s. THAT experience and the fact that I was Junior High School age at the time was a very bad one. So going into this I was quite nervous even being so much older now. Everyone at this facility was so nice and professional. They really helped put my mind at ease. Everything was explained from the beginning and during the steps that followed. I made sure to warn them that I was a hard person to get numb and during the procedure there were a couple times that I could feel a little something and they were ON IT making sure to numb me more so there would be no pain. It was so much better than the experience I had as a child. Although having a root canal isn't something you want to have done on a regular basis I wouldn't hesitate to go back here again for such quality care. Dr. Patel and Melissa - Thank you so much! I was somewhat nervous about going in for my first ever root canal, but quickly realized I had nothing to worry about. Dr. Yoon and his staff did an excellent job explaining to me what would happen during my procedure and everything seemed to go without a hitch. I was also very impressed with how they run their office from the moment I arrived until I left--their whole process is really one of a fine tuned machine. The website was great for filling out the paperwork, too. I highly recommend their services and would definitely go back if I need another root canal. I was told I needed a root canal, this is not something I was looking forward to. I put it off for 9 months at least. In the meantime I had been discussing a root canal process with a friend I work with, she is still not ready for her crown! She has made 3 or 4 trips and has 1 more this week before she is done. I walked in greeted with a huge welcome and smile! The check in process was a breeze, everything was explained throughly. I waited very briefly was told my appointment would take an hour and an half to complete. I was ask what type of music I like to listen to which was promptly playing while everything was started. It was the best experience I’ve ever had, yes going to a dentist can be a great experience if you go to the right place!!! Excel Dr. Patel , Caitlyn and the rest of the staff thank you so much!!!!!! I have been to see Dr. Yoon twice in the past few years for root canals. My most recent flare up started on a Friday. Dr. Yoon returned my call immediately with specific instructions on how to manage the pain and infection. His recommended medication regimen were more effective than other recommendations from the ER. Over the weekend he called in a script and followed up twice to check my status from out of town. On Monday he drained the infection and devised a treatment plan. His professionalism, diligence and competence are beyond reproach. I appreciate the value of talented and committed professionals. Dr. Yoon clearly fits these criteria. He and his staff are a true asset to anyone needing endodonic care. Took my daughter here for the first time today. Saw Dr. Yoon for a consult for a root canal, she's only 13. To say we were nervous is an understatement. Walking into the office I was pleasantly surprised to see how beautiful it was. The staff was so sweet and nice and very helpful. Dr. Yoon was awesome, super nice and was so pleasant to me and my daughter. He explained everything and thank goodness she didn't need a root canal after all. Was a very nice experience overall. Would absolutely recommend Dr. Yoon. Excellent service from start to finish. Dr. Yoon and his staff are the ultimate professionals. They are very friendly and consistently concerns about your pain level and well being. I would recommend this office to any one needing dental work. I have had several root canals performed by other endodontists but Dr. Yoon surpassed my expectations compared to my previous experiences. Dr. Yoon helped me to feel comfortable. He was gentle and attentive. The staff is very friendly and followed-up with me the next day. I would highly recommend Dr. Yoon for root canals. My wife and I are new to the area and I needed a root canal. Dr. Yoon and his staff are extremely professional and caring. Everyone in the office has a smile for you. Very inviting for a dentists office. I was very pleased with my experience and can recommend Dr Yoon for any dental endo work you might need. I give them 2 thumbs up! I was referred to Excel Dental Specialties and I am so happy that I was. I was extremely nervous and in tears from anxiety and the entire staff was so very friendly and attentive. The care and concern was out of this world and I really appreciate each and every one of them. It was a awesome experience. I have been a client of Excel Dental Specialties twice. Each time I am impressed by how professional, personable and accommodating the entire staff are, even squeezing me in with an emergency. The atmosphere is very relaxing and Dr. Yoon explains everything thoroughly before beginning. The treatment is painless, despite the amount of pain that brings you there. They truly excel at what they do.